Shahram Vatanparast addresses the factors influencing the effectiveness of emergency management on offshore oil and gas installations. Oil and gas offshore installations are industrial towns at sea, carrying the personnel and equipment needed to access reservoirs thousands of feet below the seabed, and maintain continuous hydrocarbon production. The dangers of working in the offshore oil and gas industry, including fire, explosion, blowout, collision with vessels, suffocation from toxic gases, failure of installation structures and extreme weather conditions, are among the most serious imaginable. Working in offshore can limit timely access during emergencies to personnel and assets, as well as reducing the initial level of support by outside responders. This may place extended challenges on workers to manage their safety and initial response until appropriate resources can arrive on scene. Emergency situations are characterised by time pressure, high risk, ambiguous information, unclear goals and changing conditions. Emergencies range from routine, such as a road traffic incident, through to events that may require a national or even international response. Emergency situations are unpredictable and unique in nature and prevention of a minor incident escalating into a major disaster is highly dependent on the planning, implementation and effectiveness of emergency response. A multitude of variables can influence the outcome of offshore evacuation, escape and rescue, when installing an offshore installation emergency response system. Offshore emergency response systems are primarily aimed at dealing with the immediate aftermath of a low frequency event that has either escalated or has the potential to escalate into a major incident. For instance, in a ‘man overboard’ situation, emergency response systems are not concerned with control over initiating events; they are only concerned with control over escalation to such an extent that it is necessary to facilitate the rescue and medivac of the person. In other words, emergency response systems are concerned with managing emergencies, not preventing emergencies from occurring. The BP incident in the Gulf of Mexico that resulted in 11 fatalities, destruction of the Deepwater Horizon Rig and a massive oil spillage, indicated how defective emergency arrangements and improper assessment could have devastating consequences. Further investigation revealed that several safety critical systems on the Deepwater Horizon Rig failed to operate either in part or totally. The rig's emergency alarm system had been disabled for one year to help workers sleep, the rig blowout preventer on the sea bed was not activated automatically to seal the well, and finally the emergency shutdown device was not activated. A range of factors could influence the effectiveness of emergency management in the offshore oil and gas installations. The emergency management includes all software and hardware of an organisation, which covers both offshore and onshore support systems. Literature review indicates that the following factors could influence the effectiveness of emergency management in the UK's offshore oil and gas installations. There have been major changes in offshore safety regimes during the last decades. On the basis of accumulated experiences (including some major incidents), from rigid prescriptive approach to more flexible goal setting approach, known as the Performance Based System. In the United Kingdom, emergency response systems are addressed in the Offshore Installation (Safety Case) Regulations (SCR), and more specifically in the Offshore Installations’ PFEER (Prevention of Fire, Explosion and Emergency Response) Regulations. The Health and Safety Executive (HSE) is responsible for regulating the risks to health and safety arising from work in the offshore industry on the UK Continental Shelf. The HSE in relation to other stakeholders is the focal point for communication, enforcement and strategy formulation. The HSE core activities in relation to offshore business include: safety case assessment, inspection, investigation, enforcement, producing guidance, standards, research and engaging with stakeholder groups. Technical knowledge of HSE inspectors is crucial for the improvement of emergency management. HSE inspectors’ sound knowledge of some standards such as OPITO, IMO and frequent inspection of offshore installations could lead to fundamental improvement in companies’ emergency arrangements and improve other sections that are related to emergency management such as OPITO standards. Civil Aviation Authority, Maritime and Coastguard Agency and International Maritime Organization are other organisations that are including regulators in UK emergency management. Since oil and gas companies should consult with other stakeholders during the preparation of an emergency response plan, their roles in emergency management are fundamental. Training organisations are crucial stakeholders. It is important that in the event of an emergency situation all personnel on board know what to do and how to do it. For instance, the duty holders should have a system to assure themselves of the competence of OIM and those in the command team, as well as those who have specific duties in an emergency. Since the emergency command capabilities of an offshore management team lie at the heart of the emergency response system, the requirements for specific training programmes and standards are far more necessitated. It is worth noting that these emergency command capabilities can only be developed and assessed using scenario based training and assessment techniques conducted by expert organisations. There is a recorded case that shows a lifeboat coxswain who was returning from offshore training, was not able to start his lifeboat on his own installation as the system was different from the one he had in his onshore training. Emergency Response and Rescue Vessels Association, Marine Accident Investigation Branch, Oil and Gas UK as a Trade union are other stakeholders which influence offshore emergency arrangements. They set standards for such critical sectors and some are part of emergency arrangements. Following the Piper Alpha disaster, offshore operating companies reviewed their ‘software’ procedures such as the permit to work system and initiated ‘hardware’ changes based on lessons learned from the disaster. These included provision and installation of emergency shutdown valves, subsea isolation system, prevention of smoke and gas ingress to accommodation, provision of better marking and screening of emergency walkways and improved fire fighting systems. The immediate response from the industry was estimated around 1.9 billion pounds. After the BP disaster in the Gulf of Mexico, UK legal authorities decided to perform full inspection on UK offshore facilities in the North Sea, to make sure UK oil and gas companies were ready to deal with the similar oil spillage scenarios as occurred in the Gulf of Mexico. In a wider scope, oil and gas companies operating offshore in Europe could be forced to abide by the new and tougher safety laws if the moves underway at European Commission bear fruit. BP also created a new safety division with sweeping powers to oversee and audit the company’s operations across the globe. All major disasters lead to tightening of the regulations. When the Piper Alpha incident happened, all the North Sea woke up to reality and lots of modifications were made on hardware and software sections of emergency arrangements. Since Piper Alpha all parties involved in the offshore industry have been working together in order to improve and harmonise their process and documentation in the area of emergency response. They have initiated an Emergency Preparedness Offshore Liaison (EPOL) Group to develop a common system across the industry for the onshore support of an offshore emergency and create a ‘mutual help’ system to help each other in case of emergency. Many of the offshore platforms have exceeded their original design life or are about to exceed their originally intended design life. However, with the depletion of hydrocarbon reserves, the increased use of enhanced oil recovery technologies and the advent of carbon dioxide sequestration, there is an increasing need to extend the life of the existing platforms. Ageing is characterised by deterioration which, in the severe operational environment offshore, can be significant with serious consequences for installation integrity if not managed properly. In the extreme case, failure could cause the total loss of an installation, with little chance of survival. Degradation of emergency equipment and facilities is one the issues that attributed to ageing of offshore installations. A large amount of life saving equipment is being used by companies who are active in offshore oil and gas installations, but the usage of some life saving equipment has caused some safety concerns and in some cases it has led to injuries and fatalities. Based on research performed by the Health and Safety Executive, most emergency response and rescue vessels masters and their crews have little confidence in the effectiveness of the mechanical recovery devices used in emergency situations. Totally Enclosed Motor Propelled Survival Craft (TEMPSC) or lifeboats are the typical equipment that has caused many incidents and fatalities during drills, maintenance or launching in emergency situations. The study carried out by the Marine Accident Investigation Branch in the UK revealed that 12 fatalities and 87 injuries were reported from UK-flagged vessels in relation to life boat incidents between 1991 and 2001. Surprisingly a root cause of many lifeboat incidents was the over complicated design of the launch system and its component parts. Nowadays, lots of concern has been expressed regarding the involved parties including manufacturers, research centres and regulators and their role in designing and producing safe emergency equipment. Offshore personnel blame manufacturers for any incident, while manufacturers argue that most problems are associated with a lack of maintenance, poor training of crew and proper procedures not being followed. It is fair to say that increased complexity in design, operation and maintenance has led to more incidents. Despite the frequent occurrence of lifeboat incidents, manufacturers seem satisfied with this situation and reluctant to go beyond the IMO standards. It has been argued that IMO standards do not stipulate the degree of reliability to be achieved. 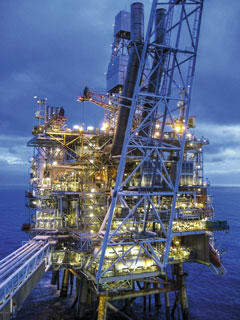 Offshore installations are among the harshest and most stressful work environments in the world. Due to the nature of the offshore environment, the consequence of human error in an offshore emergency can be severe. The role of human and organisational factors in offshore safety has become the primary interest in the UK oil and gas industry since Lord Cullen’s inquiry into the Piper Alpha disaster. It is now widely acknowledged that human and organisational factors have a dominant influence on the safety of offshore installations. The failure of workers to recognise and respond to the first signs of impending blowout in the Deepwater Horizon Rig disaster indicates how human factors can have a fundamental role in preventing the escalation of a minor incident into a major disaster. The Offshore Installation Manager (OIM), whose role as the incident commander was vividly highlighted following the Piper Alpha disaster, and his ability to take command decisions under pressure was questioned in the Lord Cullen report and the incident on Ocean Odyssey drilling rig. Loss of OIM in the Piper Alpha disaster illustrated a lack of crisis management training in the Occidental Petroleum Company. The OIM could evaluate the conditions on the installation correctly and order an evacuation at the most opportune moment. On the other hand, the OIM could also delay the evacuation or fail to give the command to evacuate incurring greater fatalities than necessary or can give the order for evacuation when there is no need to evacuate and expose the personnel to unnecessary risks. Due to the low probability of emergency, offshore crews have little familiarity with the tasks that have to be performed during emergency. This results in an increased likelihood of error. For instance, human error proved to be a significant contributory factor in many of the reported lifeboat incidents. Responding to an emergency depends very much on the scope and capability of the existing manpower and resources. Emergency personnel are expected to respond accordingly when an emergency situation arises. Weather is an important factor that can influence the outcome of successful offshore evacuation, escape and rescue activities. When evacuation is necessary during severe storm conditions the risks of evacuation, escape and rescue increase accordingly. The weather conditions experienced on the North Sea can be among the most hostile in the world. Severe storms with high winds and rough sea occur through the year with the wave heights reaching 30 meters. The previous records show launching life rafts and lifeboats in harsh sea has caused injuries and fatalities during evacuations. This was highlighted in the loss of the Alexander L.Kielland rig. Such issues are applicable when rescue operations are performed in harsh weather conditions. For instance, using Dacon Scope for a rescue operation is a typical example of when serious injury is possible. The majorities of offshore installations are located more than 100 miles from land and are subject to the extreme weather conditions of the North Sea. Sea areas to the west of Shetlands are characterised by big waves from the Atlantic, where the North Sea has a tendency for strong winds. The geographical location also affects the availability of rescue services. Structures sited just 50 miles offshore may be close to the offshore base of helicopters, while others may be relatively isolated and distant from shore-based facilities and also with limited standby vessel facilities. Large search and rescue helicopters can take several hours to reach the more remote installations. In the UK, the oil and gas companies work fairly independent to their own contingency plans. The major oil and gas companies have a strong culture of investigating incidents, disseminating the findings of incident inquiries wherever they may occur and sharing the lesson learned from non-conformities that have been identified. This leads to the improvement of offshore safety among other oil and gas operators who are working in the North Sea. The majority of best practices used by oil and gas companies became standard for other organisations. Due to technological development, newer installations tend to be smaller, cherish greater automation, have more advanced emergency alarm systems and escape equipment and are operated by greater automations and fewer personnel compared to the earlier generations. Nowadays the metrological forecast plays a major role in predicting weather patterns, particularly when the weather is poor. This is a big assistance to emergency services for organising their missions and facilities. Today, computer technology is commonly used to help devise evacuation procedures, and safety analysis packages are now available that calculate the risk of incidents on oil and gas installations. This is good news for offshore safety, but ranges of incidents during the use of life-saving equipment and failure of safety critical systems in major disasters indicated that advanced technology still remains unreliable for most people working in offshore installations. The literature also indicated that even these developments had not assisted some of the areas of emergency arrangements where according to some, development was needed. Prevention of helicopters capsising into the water during a crash is one of those undeveloped areas. With the current economic situation, oil price decreasing from 140US $ in 2014 to 40 US $ in 2015 plus the world oil and gas reservoirs shrinking and the increasing cost of drilling operations, the negative impact on the health, safety and environmental arrangements of oil and gas companies working in the offshore oil and gas installations is inevitable. According to the Deloitte’s North West Europe Review, the number of exploration wells has fallen 78%, meaning the allocation of budgets for health, safety and particularly emergency arrangements is likely to be constrained. On the other hand, major oil and gas companies who have strong organisations and arrangements in health, safety and environmental affairs will be replaced by small oil and gas companies, which may lack similar facilities and abilities. The findings of the current study suggest that various factors may influence the effectiveness of emergency arrangements in the UK offshore oil and gas installations. Various regulators have different degrees of effectiveness on emergency arrangements in the UK offshore oil and gas installations, but the HSE acts as a focal point among other regulators in setting regulation, inspection, enforcement, and strategy formulation for enhancing offshore safety in the UKCS. Major disasters have caused the improvement of offshore emergency arrangements by making authorities set tougher regulations and develop hardware and software sections of the UK offshore emergency arrangements. Correlations exist between some of the influencing factors in offshore emergency arrangements. Major incidents have caused the introduction of tougher regulations, invention of new equipment and improvement of training standards. More complicated life-saving equipment designed by manufacturers’ designers has caused more human error during emergency situations.